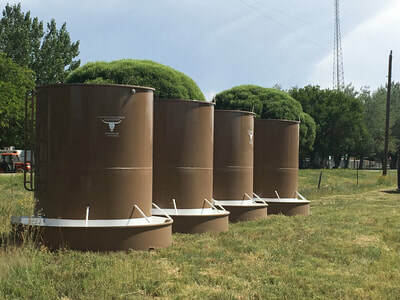 These awesome tanks are great for range! 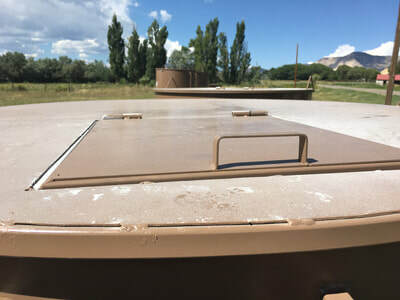 Tire Water Troughs made from 12’ Tires. approximately 26 inches high. 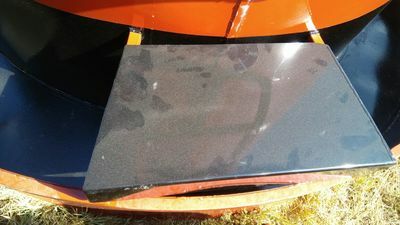 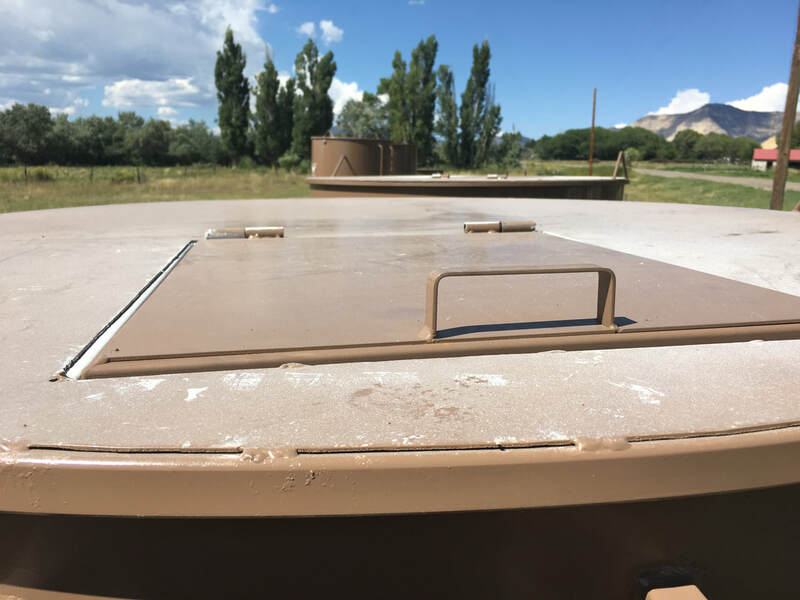 · Entire tank is constructed of 10 gauge steel. 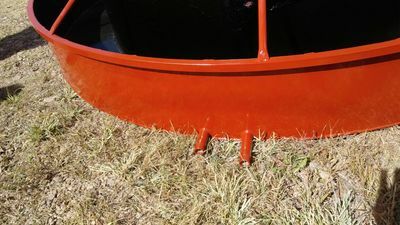 · Bottom plate (ring) is constructed of 10 gauge steel. · Bracing pipes used to brace the outer ring (water trough) that the cattle drink out of is 1 inch schedule 40 steel pipe. 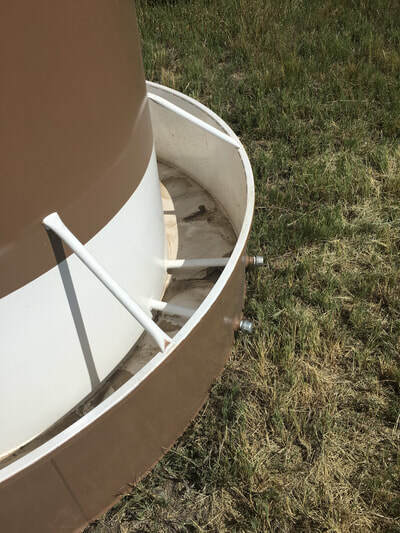 · Mouth of the ring (water trough) is lined with 1 x 1 square tubing, 1/8 wall. 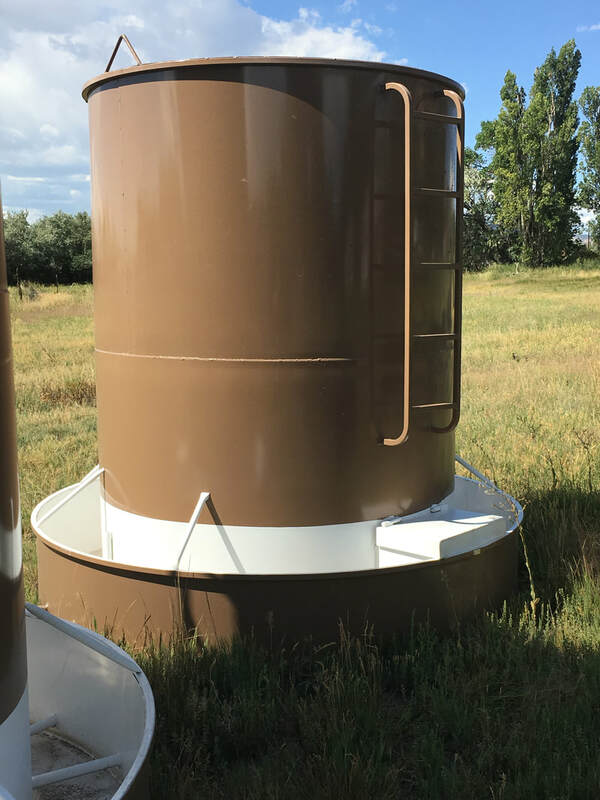 · Top of the storage tank (opening) is lined with 1 x 1 square tubing, 1/8 wall. · Float box is made of 1 x 1 square tubing, 1/8 wall. 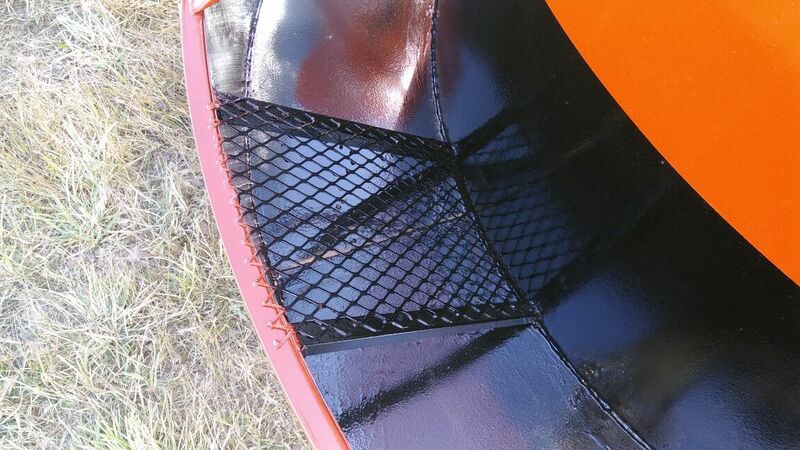 · Float guard is constructed of 10 gauge steel. 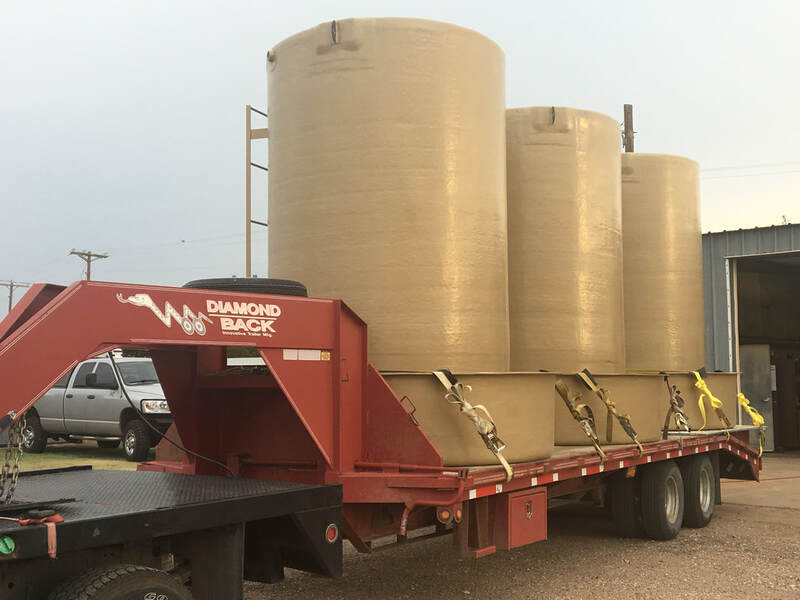 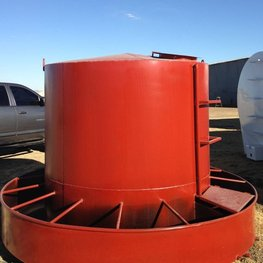 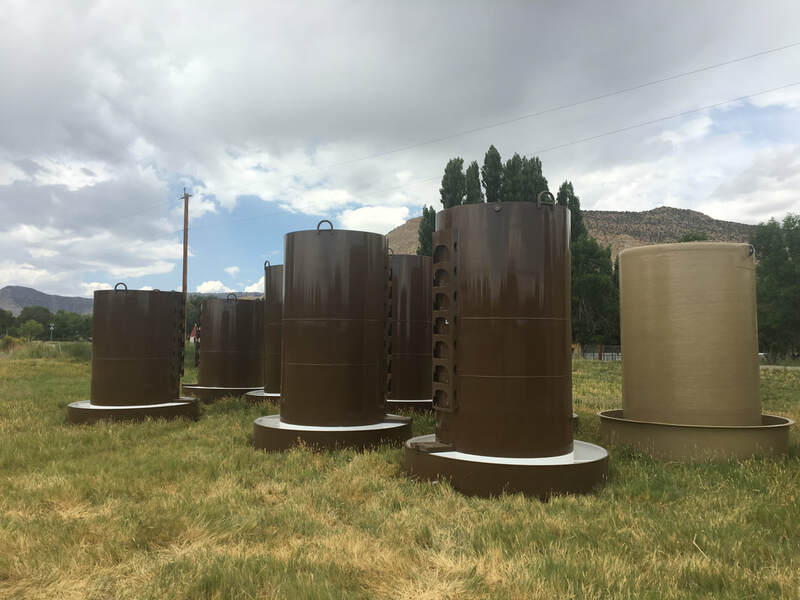 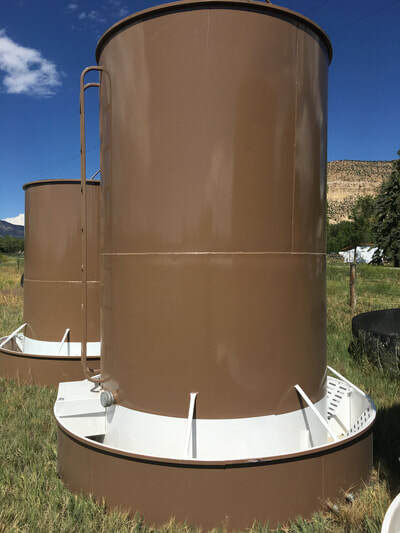 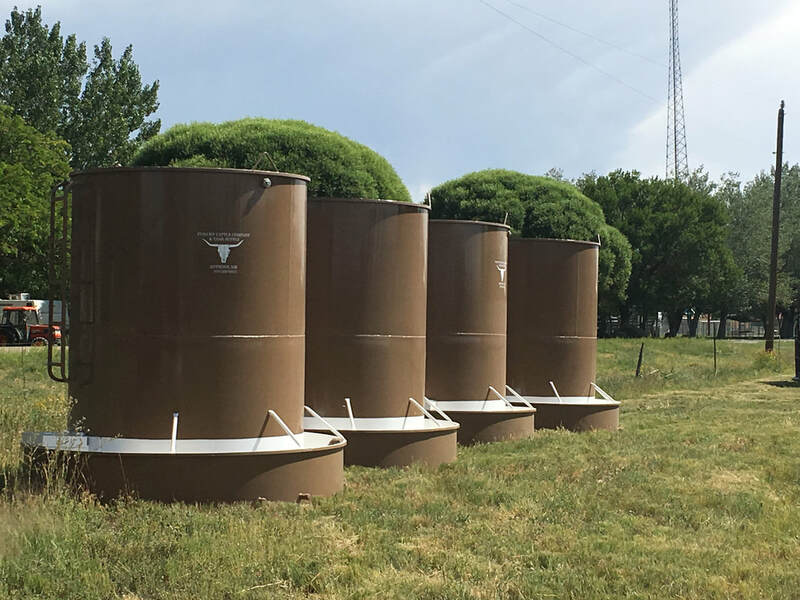 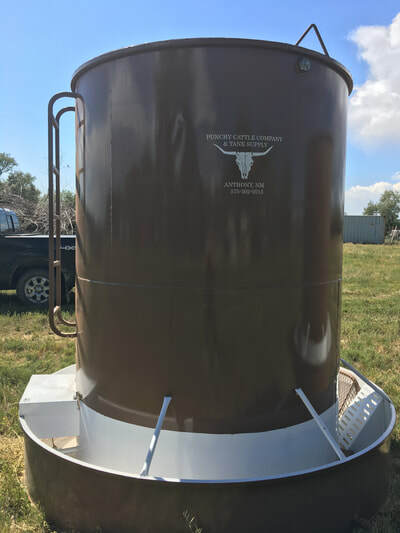 · The lid of the storage tank is constructed of expanded metal and framed with square tubing or the lid can also be built with a full shape metal dome top. 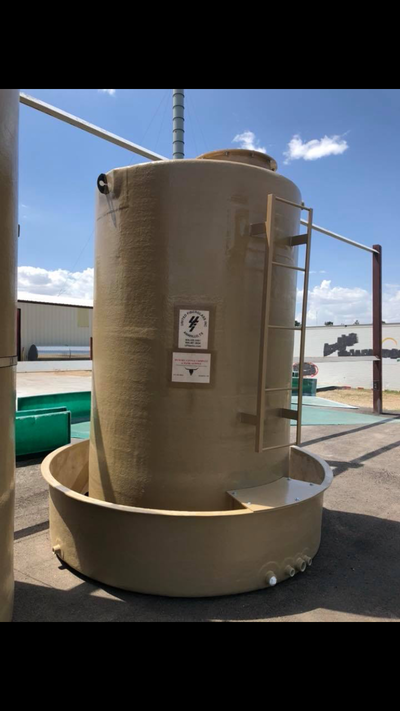 · Man hole is 2 ft. x 3 ft.
· Inlet into the top of the tank is 1 ¼ inch schedule 40, high pressure pipe. It comes into the center of the tank, at a 90 degree angle that goes up to the top of the tank and is braced with 3/16 flat strap. 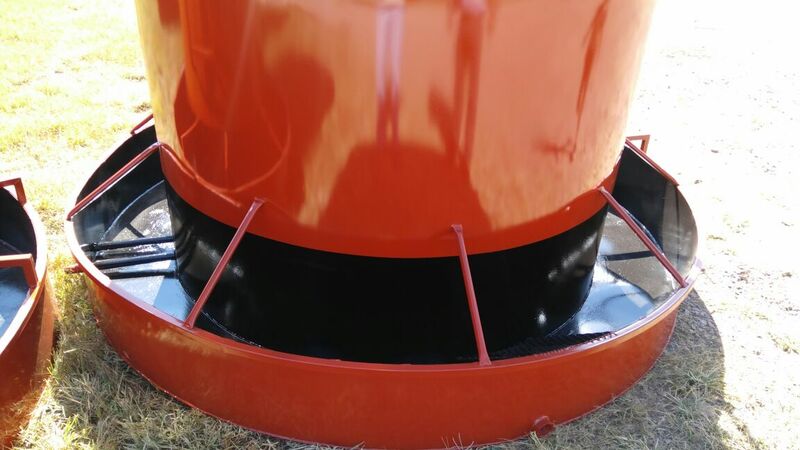 · High pressure gate shut off valve is constructed of a brass float with brass rod and float ball. 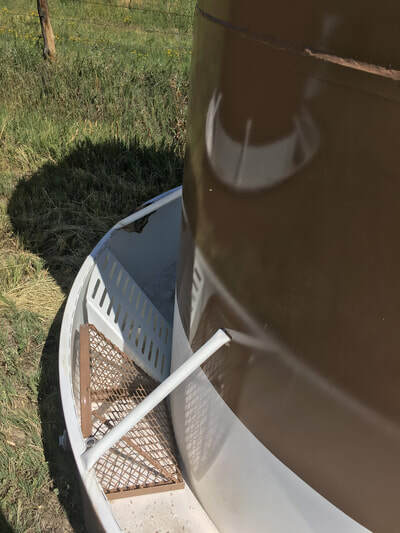 · At the very bottom of the tank, from the storage tank to the water trough is a 1 inch, schedule 40 pipe that goes into the drinker. It comes out 4 inches, makes a 90 degree angle and has a brass rod that attaches to the float ball. 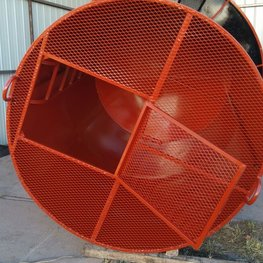 · Overflow pipe constructed of schedule 40 pipe. 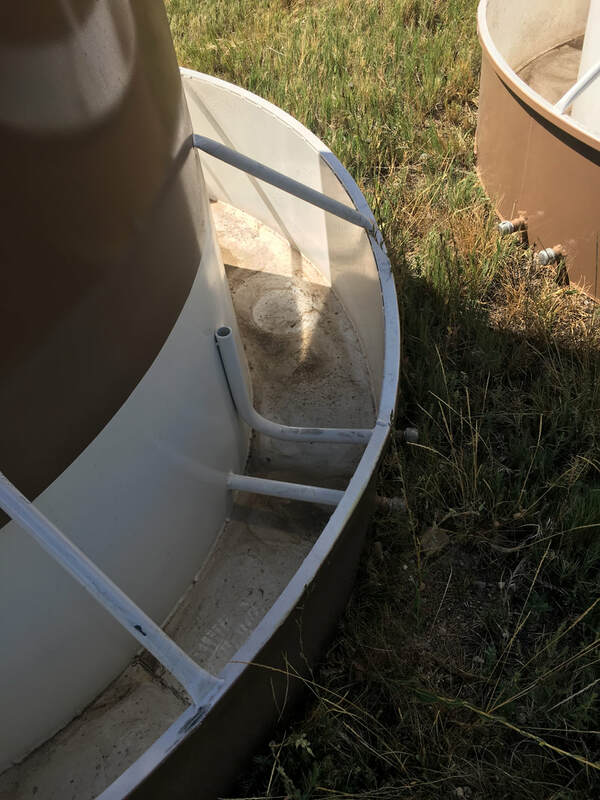 · Inside the storage tank, 2 inches from the top of the ring there is an overflow pipe that goes down to the very bottom in the center of the tank, then it comes out at the bottom of the water trough and is threaded and capped. · 2-1 inch solid, round rod chain hooks that are bent in an “L” shape have been welded and are used to lift the tanks.